The Wyalusing Valley Museum will be publishing a ‘Winery of the Week’ feature article each and every Friday from now until the Wyalusing Valley Wine Festival on Saturday, Sept. 15, in an effort to highlight the many loyal Pennsylvania wineries and vineyards that have sampled and sold their beloved varietals at the festival throughout its 15-year history. This week, our ‘Winery of the Week’ is the Capra Collina Winery of Blakely, PA. They say family should never work together, but brothers Gregg and Tim Betti never subscribed to that theory. Together, the two operate a popular winery that was founded by their father, Kevin, in 2004. Not long before Kevin’s passing in 2012, Gregg and Tim took over their father’s brainchild, the Capra Collina Winery in Blakely, PA, which is located along the Scranton-Carbondale Highway. Kevin referred to this as being “bitten by the wine making bug,” said Gregg, who claims wine making has been a Betti family tradition as far back as they can trace their lineage. Shortly after retiring from the RCA electronics company, Kevin opened a store in a small house in Jessup where he sold supplies to other wine makers. Being the only such shop in the area, he made quite a name for himself. Upon taking the reins of the operation, Gregg and Tim invested in new location along Route 6 in 2015 where they now carry as many as 25 different varietals. 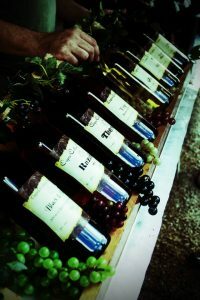 Capra Collina Winery’s most popular bottles include the “OMG”, an apple and cranberry blend; and “Therapy”, a pomegranate flavored blend. Recently, the Betti’s introduced “Black and Blue,” which is a blend of – you guessed it – blackberries and blueberries. This concoction has reportedly become a favorite among their guests as well. Gregg and Tim have six other family members that comprise their staff along with the occasional recruitment of a friend or two. 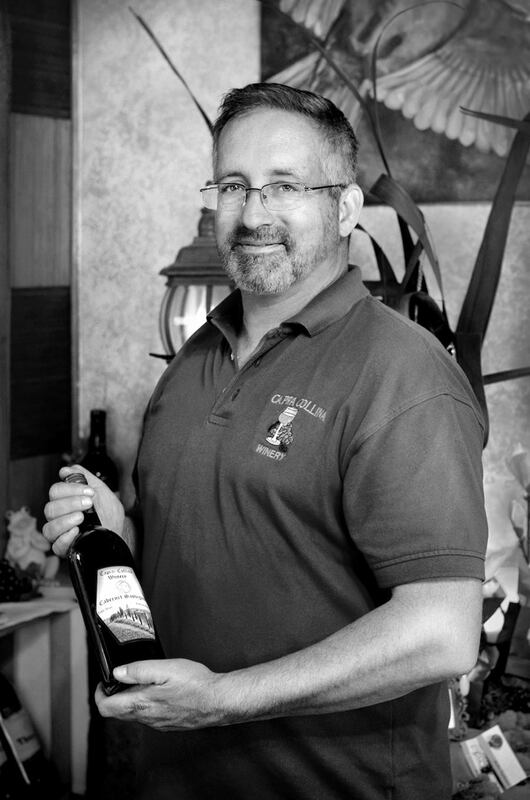 Capra Collina is a regular at the annual Wyalusing Valley Wine Festival, which benefits the Wyalusing Valley Museum and the Wyalusing Lions Club. The winery’s booth is typically swarmed with eager tasters hoping to sample their various wines.